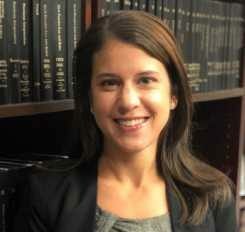 Laura Brancato, Esq. is an attorney with Littman Krooks LLP. She focuses her practice on elder law, medicaid planning, estate litigation and planning and special education advocacy and litigation. Laura Brancato, Esq. is an attorney with Littman Krooks, LLP. Ms. Brancato’s practice focuses on elder law, medicaid planning, estate litigation and planning and special education advocacy and litigation. Ms. Brancato has extensive experience litigating in New York State Supreme Court, Surrogate’s Court and at all level of administrative hearings on behalf of her clients. Prior to working in Elder Law, Ms. Brancato held a position as an Assistant District Attorney where she tried cases in the Gang/Major Case Unit of the office. Ms. Brancato particularly enjoys working with clients who are accessing Medicaid for care at home or in a facility. She has advocated for clients in various arenas to help assure they remain safe and well cared for in the later stages of their lives. Laura received her undergraduate degree from Loyola University in Maryland where she studied political science and business. Ms. Brancato received her JD from St. John’s University School of Law where she held an executive board position on the Moot Court Honor Society and conducted pre-trial hearings in State Supreme Court as a law student through the prosecutor’s clinic. Laura lives in Westchester with her family, including her 3 children. She works actively in her community, including spearheading a local project to revitalize her local playground in an effort to make it ADA accessible and inclusive for all children.